We all cough from time to time. 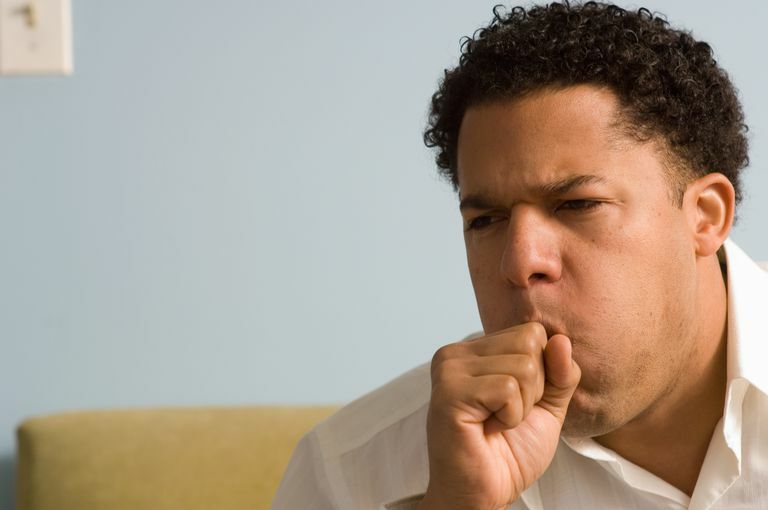 Cough can be a symptom of all types of illnesses and conditions. Typically coughs are usually nothing to worry about and will go away on their own. But how do you know when it's something more serious that needs treatment? If you have a cough that is new and concerning to you that doesn't seem to go away in a reasonable amount of time (usually a couple of weeks), then you may want to talk to your health care provider. However, there are other reasons you may need to see a doctor more urgently. When cough produces mucous that is yellow, green or tan and has lasted more than a week or is accompanied by a fever. When short of breath and wheezing. When you have heart problems. If you are coughing up pink, frothy mucous go to an Emergency Room immediately. When accompanied by night sweats or fevers at night. If your cough is constant or nearly constant and you make a "whoop" sound when you try to breathe - this is most concerning in young children under 1 year old. A cough that lasts more than 3 weeks. A child with a cough and fever over 102F. A child with croup - if croupy cough and stridor subside with home treatments, call your child's doctor in the morning. Any infant that is coughing for more than a few hours should be seen by a doctor. Coughs are annoying but often don't need treatment. However, because they can be caused by so many different types of illnesses and health conditions, you should always contact your health care provider if your cough concerns you or it is different from coughs you have had in the past. If you don't need to see a health care provider for your cough, there are things you can do to get relief. There are many over the counter cough remedies available, although how well they work is debatable. Suppressing a cough is generally not a good idea unless it's keeping you up at night. Coughing is your body's way of expelling germs and mucus from your airway and preventing that from occurring can lead to more serious illness. Make sure you drink plenty of fluids when you are coughing. This will help thin the mucus in your body so it drains more easily. It also keeps your throat moist so you won't be coughing due to dryness or irritation as much. Adults and kids over three can use cough drops, which also coat the throat and help with irritation. Children over 12 months old may benefit from eating a spoonful of honey when they are coughing. Studies have shown this is more effective at helping with a cough than cough medications in children. Children under 12 months old should not be given honey due to the risk of botulism. Although coughs are often short-lived and don't require treatment, they can be annoying or even a sign of something more serious. If you aren't sure or are concerned about your cough, it is always best to check with your health care provider to get guidance for your specific case. "Cough." Familydoctor.org 1996. American Academy of Family Physicians. "Coughing". KidsHealth Sep 2015. The Nemours Foundation.